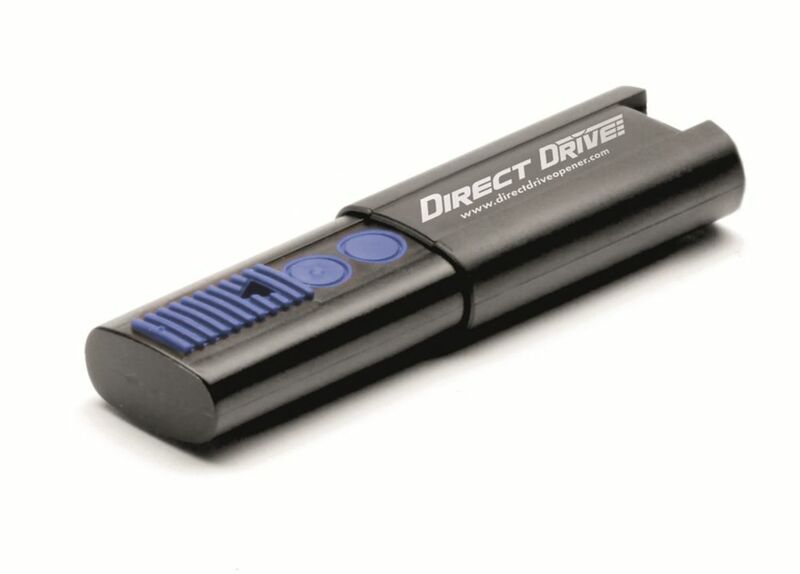 The small size 2- button transmitter works with the Direct Drive direct drive garage door opener 3/4 HP. This transmitter has the perfect size to be stored in a pocket or attached to a keychain. Operates up to two individual garage door opener. As easy as 1.2.3 to program. In the spirit of contemporary design, form follows function in this model's fluid contours and swept wing blades. Despite decades of endurance, this fan is ahead of its time even today. A proven success, this universal design draws inspiration from the Stealth Bomber aircraft. But dont let the name fool you, the Stealth is an impeccably finished fan that is sure to get noticed. The Wireless Keypad provides trusted, convenient walk-in access without using a remote control or key. Set up in seconds with easy-to-follow wireless programming and compatibility with nearly every Chamberlain., LiftMaster., and Craftsman. garage door opener installed in North America. The keypad also includes advanced features such as a one-touch close button for efficient exits and a temporary PIN that can be programmed to allow limited-time access for deliveries or guests. The CT-2100R comes with our improved Fusion Heating Technology, giving you control of the temperature of your wash experience from start to finish without the water ever going cold! The Stainless Steel, Self-cleaning 3-in-1 Nozzle is designed to provide you with the best posterior wash, most comfortable feminine wash, and effective turbo wash. The adjustable water pressure allows you to change from a soft sitz bath, to a more focused turbo wash. The nozzle oscillation feature allows you to hit every spot in-between with the touch of a button! All of the bidet commands and inputs are in the palm of your hand, with your ergonomic wireless remote control. From a cozy heated seat to a glowing nightlight, the CT-2100 will revolutionize your bathroom experience.The future of hygiene is now, as Clean Touch helps you upgrade your home and life with Smart technology. Packed with all of the premium bidet features at a very affordable price, this is the bidet you have been searching for. 310 MHz 2-Button Garage Door Remote Control The small size 2- button transmitter works with the Direct Drive direct drive garage door opener 3/4 HP. This transmitter has the perfect size to be stored in a pocket or attached to a keychain. Operates up to two individual garage door opener. As easy as 1.2.3 to program.